Laura’s 10 years of experience have focused on representing the human element in any interaction with a brand through actionable, business-impacting insight gathering and design. At NTT Data, Laura leads cross-channel experience design strategy engagements for clients. Clients have included AstraZeneca, Hachette Book Group, GlaxoSmithKline, Prostate Cancer Foundation, Honeywell, and the NBA. 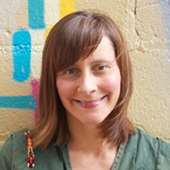 In addition to her Service Design column for UXmatters, Laura has written articles for the Service Design Network’s Touchpoint: The Journal of Service Design, User Experience Magazine, Communication Arts, and Johnny Holland. She has presented on service design at SDN’s Global Service Design Conference, the Usability Professionals’ Association International Conference, IxDA New York City, and IxDA New Jersey.